LOL - in the case of the British motorcycles - this resulted in a nice improvement in quality. Every now-and-then I get into a conversation w/ someone (old) asking about my Versys, what is it?, etc. 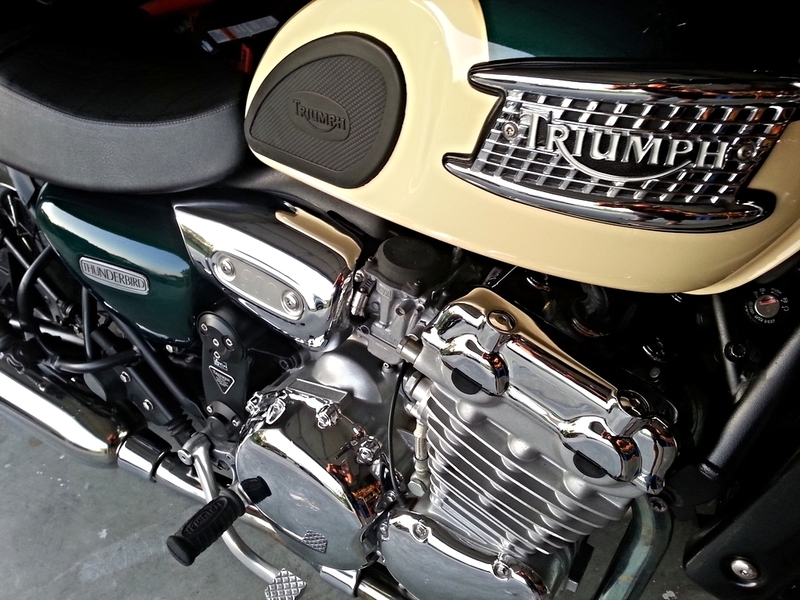 My answer: Remember the 650 Triumph Bonneville from the '60s? When they answer "Yes..." - I say that the Versys is WHAT Triumph Bonnevilles would be IF they hadn't gone bankrupt back then, and ignoring what the NEW Triumph company has attained. Yeah true, if you're talking of the early British bikes from the 60's & 70's. Actually their bikes with triple cylinder Hinckley motors of the 90's into the early 2000's were known as some of the best built bikes being built at that time as far as quality build and reliability, and that motor was truly bullet proof. I had a couple of those bikes, including this 25 year old 3rd generation Thunderbird 900 that I ended up selling in 2016, it was always solid as a rock, never any issues. But you're right, the Triumphs prior to John Bloor's ownership (still the owner) in the 60's and 70's were known to leak oil like a sieve, and many had electrical issues, same with Norton's and BSA's. But even with that, they were very popular because they were the fastest bikes in production at that time. I've owned a few Triumphs over the last twenty years because they were that good. I've owned a few Japanese bikes in there from the big 4 too, Some were pretty nice, others not so much. I like just about anything with two wheels and a motor though. Last edited by zebraranger; 03-19-2019 at 03:44 PM. SOMETIMES I feel guilty on my Kawis that (pretty much) all you have to do is add gas, and GO!